Where this book excels is in the vignettes of those who suicided in Aokigahara Jukai forest: we see the last moments of these people’s lives in chilling, haunting portraiture. Similarly, the world of the forest is brought to life; the writing itself is clear, yet peppered with poignant phrasing. The first person present-tense is sound and is a good match for this type of piece. The tension between the two characters is fantastic, as there is push and pull but neither gets what’s desired. It’s also an easy read (although the lack of commas where there should’ve been drove me crazy; I’m not sure if this was an editing fail or if it’s some style I’m not familiar with). Despite all of that, however, I’d only be able to recommend Sea of Trees to those who are deeply interested in the forest. Although the stories of those who suicided are, as previously noted, gorgeously rendered (and ultimately more interesting and a better read than the grounding narrative), they’re inserted in a klutzy, stilted manner. We are solidly in the first-person/present tense, and then out of nowhere comes this third person limited/past tense passage about some other character we don’t know, penned in italics just in case we didn’t notice it’s not the same!. It’s completely jarring and ruins the flow (and using font or style to show a shift of any kind is cheating). Since I suspect in a few places the intent was to have the present-day characters come across the remains of each of the bodies – which isn’t made clear if that’s the case — some pivotal touchstone would work better. The central thread – Junko and Bill wandering the forest – feels like a first draft that needs more work; those elements that are there are disorganized so that these sections seem to lack depth and forward movement. First off, it seems as though this is meant to be a relationship story. The problem, though, is that we really don’t get to see Junko and Bill’s relationship with any insight. We don’t see their standing issues – in other words, the baggage each has brought to their private table – so it’s tough to understand the relationship’s dissolution. For example, she’s so nasty to him it just doesn’t seem realistic—she’s all anger and snot and no other shade of emotion. He doesn’t seem to care, describing her as “beautiful” so many times it doesn’t mean anything after a while, but then in a couple of moments he’s so suddenly horny it feels inappropriate. Having people together that way is fine, but we need to know why they’re treating each other like that and if it’s that bad why are they still together? If they love each other, we can’t see it. Their relationship is so poorly depicted that its devolution really isn’t anything than more than insignificant bickering; it’s even irritating after awhile. We also don’t know anything about them as people or their motives until the story’s almost over—stuff we should know up front or revealed in dribs and drabs. How did Bill meet Junko, for example? Does he work? Does she work? When we finally do learn all this information 85% of the way through the book, it’s presented in dialogue during a screaming match (which doesn’t make sense – wouldn’t they know all of this about each other? ), or in an inorganically-placed flashback. What we never learn: If Junko’s sister’s been dead for so long (years and years, apparently), why are they only looking for the body now – in other words, what’s Junko’s deal? Did something happen to suddenly make her do this? She’s kept a “secret” for so long but after all this time NOW she needs to do this to “help keep it”? Why? There really needs to be some fleshing out of characters and some idea of motive. There are also a few conversations that feel flat and present only for the benefit of the reader. In particular, discussions regarding the yurei seem emotionless and, surely, something this couple would have talked about before arriving in the forest. And speaking of yurei, their suggested presence at the end comes out of nowhere and feels too convenient; whether it’s really yurei or just Junko’s descent into madness, it needs to be justified. What’s really a shame about Sea of Trees is that the Bill and Junko story seems pointless. If it were removed entirely, the beautifully-written, haunting and moving narratives of the suicided would make for a top-notch short story collection. If you’re interested in the Aokigahara forest, then I’d recommend picking up this book—and only reading the sections in italics. 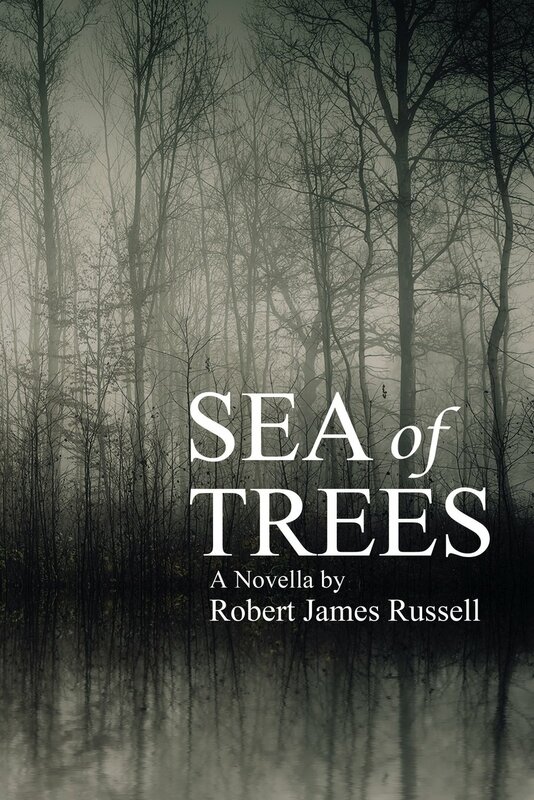 Posted on January 24, 2016, in Reviews and tagged Aokigahara Forest, relationship stories, Robert James Russell, Sea of Trees, Sea of Trees reviews, story critique. Bookmark the permalink. Leave a comment.